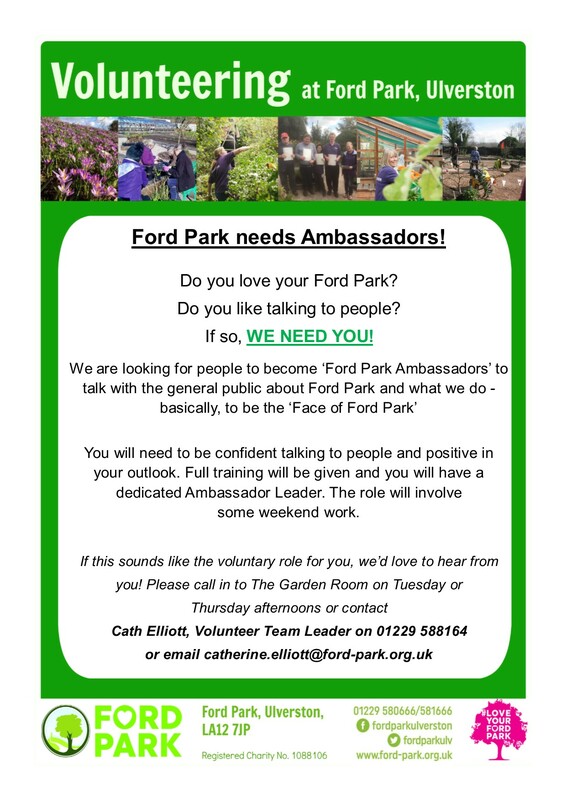 Fancy becoming a volunteer at Ford Park? 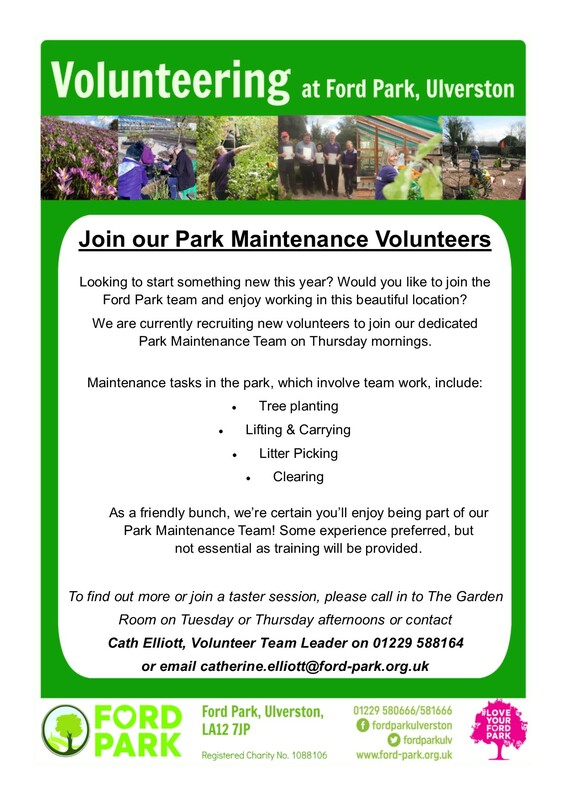 Take a look and see which suits you…. simply click on the images to enlarge. For more information, please contact Cath Elliott, Volunteer Team Leader, on 01229 588164.